Before unstretched: Length is 15.7 inch(40cm),upper elbow's wide is 4.1 inch(10.5 cm), wrist's wide is 3.3 inch(8.5cm). 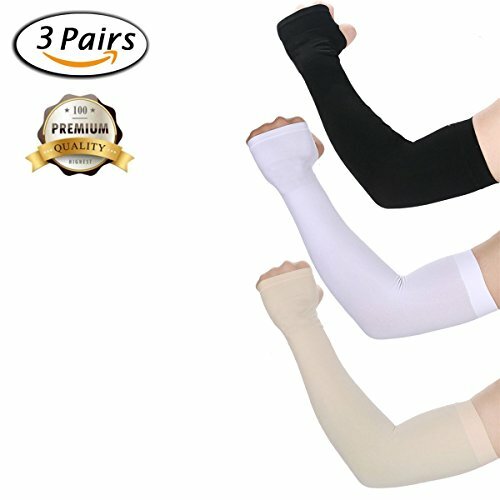 UV Protection Cooling Arm Sleeves: Protecting skin from 99.8% UV, without sunburn or bug bites,keep your arm fresh all day. Confortable Arm Cover: 92% polyamide,and 8% spandex, it is soft and with a good elasticity. Making your muscle feel comfortable when doing sport.